If there ever was a hall of fame capitol, New York State would be it. 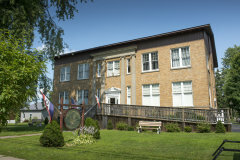 New York State is home to a wide variety of international and national halls of fame, including the National Baseball Hall of Fame and Museum, in Cooperstown, and the National Women’s Hall of Fame, in Seneca Falls. The renowned shrine to our national pastime, the National Baseball Hall of Fame and Museum in Cooperstown, lets you explore the history of the game through a newly-renovated museum featuring interactive exhibits, and the hallowed Hall of Fame Gallery, honoring the game's greatest players. 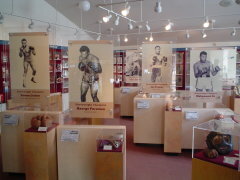 From the diamond to the ring – boxing’s rich heritage is honored and preserved through displays of fascinating memorabilia at the International Boxing Hall of Fame in Canastota. Discover the colorful story of three centuries of Thoroughbred racing at the National Museum of Racing and Hall of Fame in Saratoga Springs. From the track to the stage – while in Saratoga, pay tribute to the pioneers of American dance at the National Museum of Dance and Hall of Fame in Saratoga Springs. An interactive children’s gallery includes costumes to try on and a stage. New York State has been a leader in preserving and promoting civil rights. In Seneca Falls, the birthplace of the American women’s rights movement, the National Women's Hall of Fame honors and celebrates the achievements of American women. Learn about the brave people who helped achieve the ending of slavery in the United States at the National Abolition Hall of Fame and Museum in Peterboro. Additionally, the Hall serves as a place to honor those who have worked toward ending discrimination.